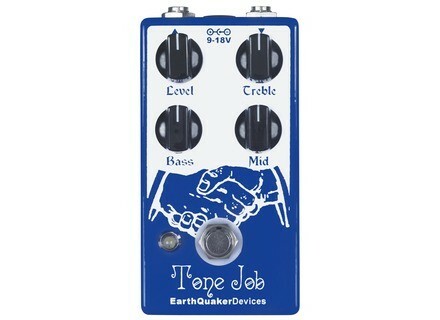 Tone Job, Parametric equalizer pedal from EarthQuaker Devices. Product replaced by the EarthQuaker Devices Tone Job V2. 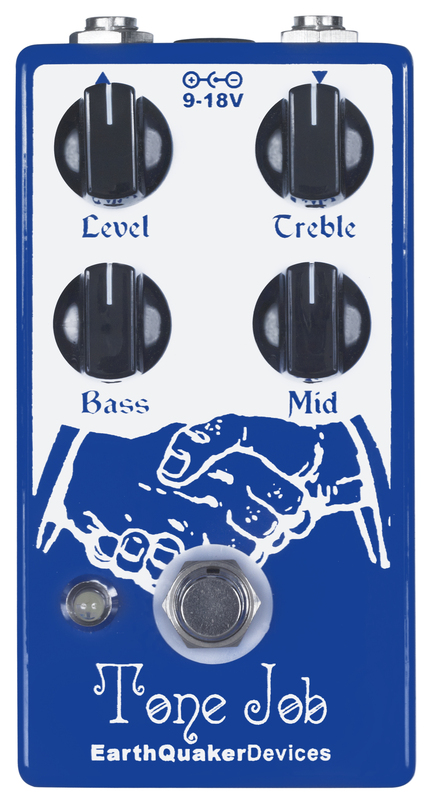 Earthquaker Devices introduces two new pedals at Winter NAMM 2012., including the Tone Job. The tone job is an all analog active guitar and bass EQ and booster. It was designed to be "subtle yet highly effective while dialing in all the right frequencies," according to the company. It was tuned by ear using a number of different guitar and amp combinations with the goal of delivering booming "low end, chiming highs and cutting mids without being overbearing." [NAMM] EarthQuaker Devices Organizer Earthquaker Devices introduces two new pedals at Winter NAMM 2012, including the Organizer. [NAMM] Roland & Fender GC-1 GK-Ready Stratocaster Roland and Fender announce the GC-1 GK-Ready Stratocaster guitar as one of the V-Guitar series. [NAMM] Fender & Roland G-5 VG Stratocaster Roland and Fender introduce the VG Stratocaster G-5, an electronic guitar that fuses traditional design and digital music technology.